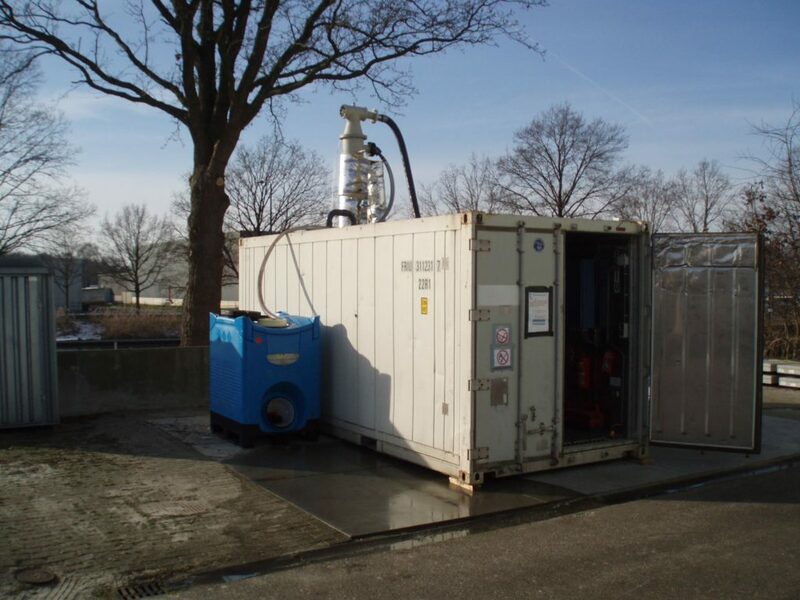 Beginning of january, the Power to Protein pilot, which was designed by Avecom and KWR and was constructed at Maris Projects in Schijndel, was moved to the first test location Waterschap Enschede after first microbiological runs proved the correct functioning of the pilot. This pilot is unique: it is the only bioreactor in which hydrogen is oxidized in order to capture organic carbon (CO2) and recovered nitrogen (NH3/NH4) by hydrogen oxidizing bacteria. These bacteria are protein-rich and can be used as feed- and even foodstuff. Learn more about this interesting project and follow further development at www.powertoprotein.eu.